This invaluable and up-to-date source on instruments and applications covers everything needed to employ a technique for investigating various gases and materials, including biomaterials. It includes the latest developments in light sources, signal recovery and numerical methods. 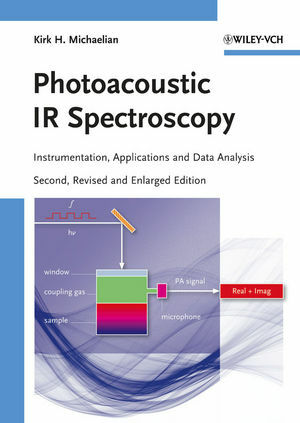 There is no other single publication that reviews the entire subject of photoacoustic infrared spectroscopy in such detail. Physicists, chemists, and spectroscopists in both academic and industrial laboratories, polymer and organic chemists, analysts in industry, forensic and government laboratories, and materials scientists will find this book to be a vital resource. Kirk H. Michaelian, Ph.D., is a Senior Research Scientist for Natural Resources Canada. He has previously served as a research scientist for Energy, Mines, and Resources Canada and as a research associate for the University of Alberta. The author of over 120 papers on spectroscopy and related topics, Dr. Michaelian received his Ph.D. from Simon Fraser University. His current research focuses on instrumentation and signal recovery.